1937: Bobby Whittemore and Jane LaFleur share a lollipop Halloween at Longfellow School. 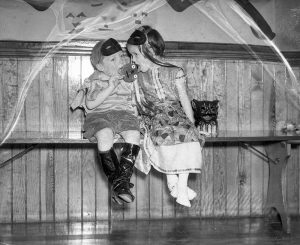 6641	EX 27 Oct 1937 : Bobby Whittemore; Jane LaFleur. Halloween at Longfellow School.